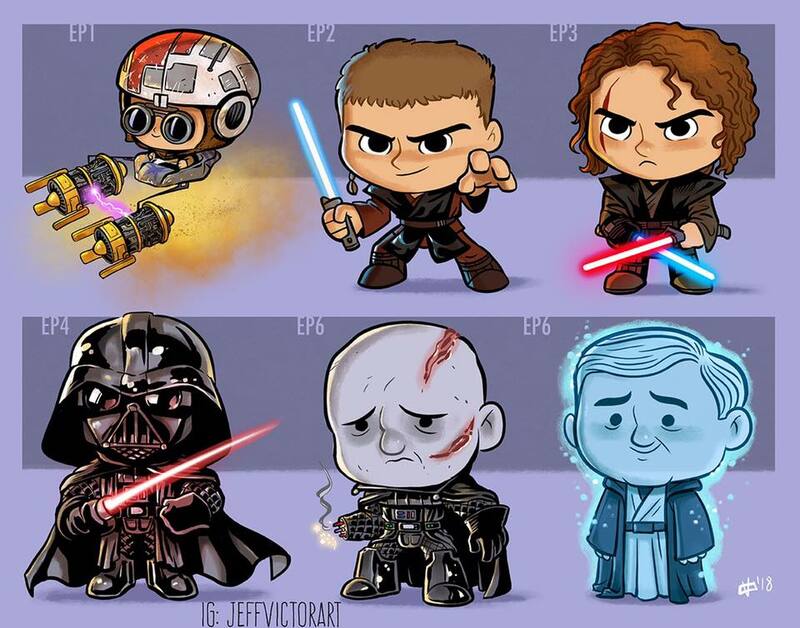 Jeff Victor is a geek artist who has made a name for himself on the Internet with his “Evolution of” series of art prints, which take famous movie characters, or the actors that play them, and render them as little chibi characters to show how they evolved from film to film, or over time. He’s done it for all sorts of pop culture franchises, but if we’re sharing one here, then it has to be Star Wars related, and boy is it ever. 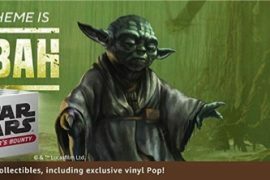 Jeff’s latest addition to his “Evolution of” line of geek art is none other than Darth Vader himself. Jeff’s piece shows him evolve from his days as Anakin Skywalker racing pod racers on Tatooine, all the way to his final ghost form featured in Return of the Jedi. I have to note that he opted to draw that final form as the Sebastian Shaw version of Anakin, and not Hayden Christensen’s, and I approve of that decision greatly. 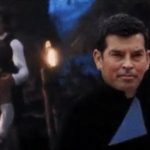 Some of George’s Special Edition edits are mind boggling, and that is one of them, so I appreciate that Jeff opted for the classic ghost Anakin over the younger looking version with his long flowing hair. Make sure to check out Jeff’s gallery on Facebook to see his other works.